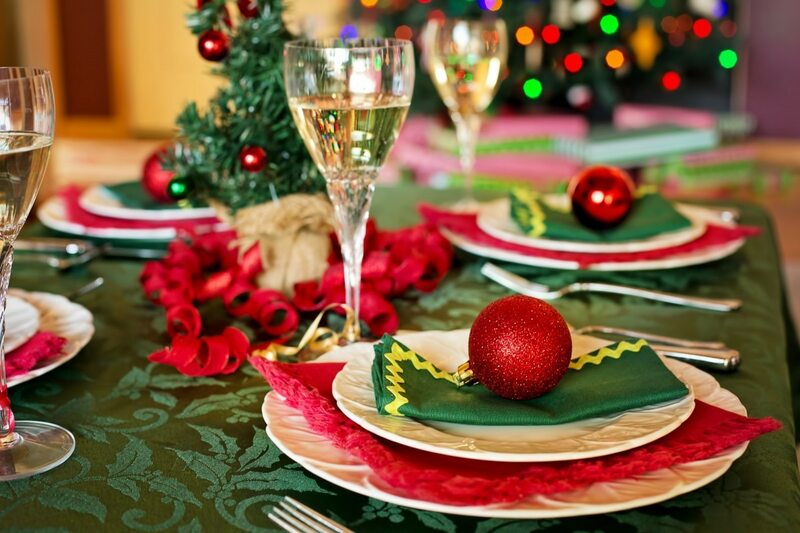 Holiday parties are fun social gatherings, but they can also be diet disasters. Here’s how to enjoy yourself while sparing yourself hundreds of extra calories. First, eat healthy in the hours leading up to the party. Focus on lean protein, whole grains and simply prepared fruits and vegetables to pack your day with nutrients, suggests the Academy of Nutrition and Dietetics. Don’t attempt to starve yourself or create a calorie deficiency thinking this will give yourself leeway to splurge — that strategy often boomerangs. At the event, set a firm drink limit. Calories can quickly add up when the alcohol is flowing. Two 5-ounce glasses of white wine top 200 calories, so keep a running tally in your head or, even better, a calorie-counting app. Have a glass of plain or sparkling water between alcoholic drinks. This will help you stay hydrated (alcohol acts like a diuretic) and allow you to better pace the booze. Watch out for the hors d’oeuvres, especially if you’re at a cocktail party. It’s easy to mindlessly munch every time a tray passes by. Even bite-sized pastry treats like cheese puffs and mini hot dogs contain loads of calories. Choose high-protein shrimp cocktail instead — you can even enjoy a dollop of tomato-based sauce guilt-free. While nuts are healthy snacks, each handful is about 150 calories, so if you can’t control yourself, stay away from them altogether. Keep circling around the crudites. You can have unlimited amounts of these healthy cut-up vegetables. Do skip high-fat sour cream and mayo-based dips. Yogurt and hummus are better choices, if available. It’s hard to resist a cheese platter, but don’t let it be your downfall. Cheese averages 100 calories per ounce — that’s about four dice-sized cubes. Top a whole-wheat cracker with a sliver rather than a hunk of cheese. Finally, be the life of the party. It’s hard to eat when you’re talking up a storm. The Academy of Nutrition and Dietetics has a wealth of party planning tips for both hosts and guests alike.